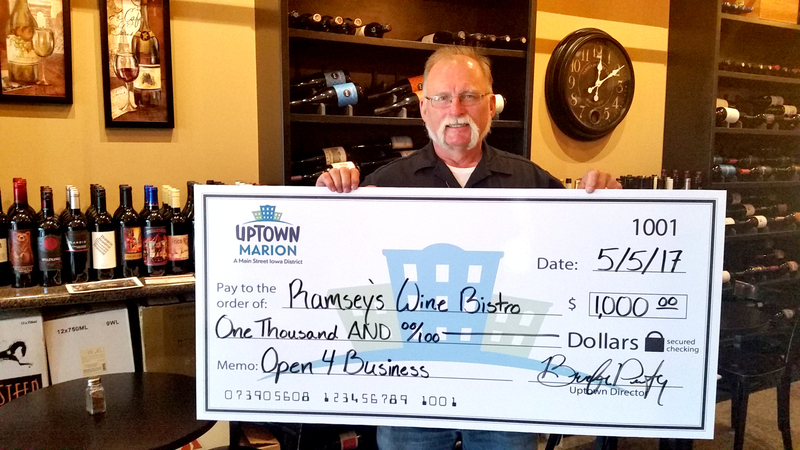 Ramsey’s Wine Bistro has been named the 2017 winner of Uptown Marion’s Open 4 Business Competition. They will receive $1,000 from Uptown Marion and advance to the Sub-State Open 4 Business Competition hosted by Main Street Iowa and Iowa Economic Development Authority. Conrad & Lu Ann Ramsey opened Ramsey’s Metro Market in 2011 in Uptown Marion as a restaurant wine/beer bar. In 2015 they had the opportunity to purchase the building expanding their restaurant into the neighboring space and added a full kitchen. Ramsey’s is a family business with Josh, their son, running the business along with 12 employees they consider family. In addition to a unique menu of flavorful food, costumers enjoy local music 4 nights a week, 130 craft beer options and over 150 different labels of wine for purchase by the bottle or glass. After the success of their restaurant, wine retail, and bar, they are ready to expand into wholesale markets. They plan to use the funds for the construction of an Aqua Garden in the basement of their current location. Ramsey’s Aqua Garden will turn a storage area in the building’s basement into a productive and profitable business supplying herbs, spices, produce, and fish to Ramsey’s Wine Bistro’s kitchen and to sell for wholesale and retail. With a growing cycle double traditional methods, Ramsey’s Aqua Garden would produce more than enough herbs and fish for the restaurant. Excess produce/fish would be sold for retail and at wholesale to local grocers and health food stores. Partnering with local schools and colleges, Ramsey’s Aqua Garden will be an educational tool for tours and internships. Sub-State Pitches will take place the week of June 15th. 5 winners at the Sub-State Open 4 Business Competition will receive $8,000 and move on to compete at the Statewide Competition on August 1st in Sioux City for a chance at an additional $20,000. Last year, Uptown Marion’s local winner was Cara Briggs Farmer, with Synergy Metalworks, who used her local winnings to create a workshop in the Uptown District. Photo Caption: Conrad Ramsey, co-owner of Ramsey’s Wine Bistro, accepting their prize from Uptown Marion on Wednesday, May 24, 2017. 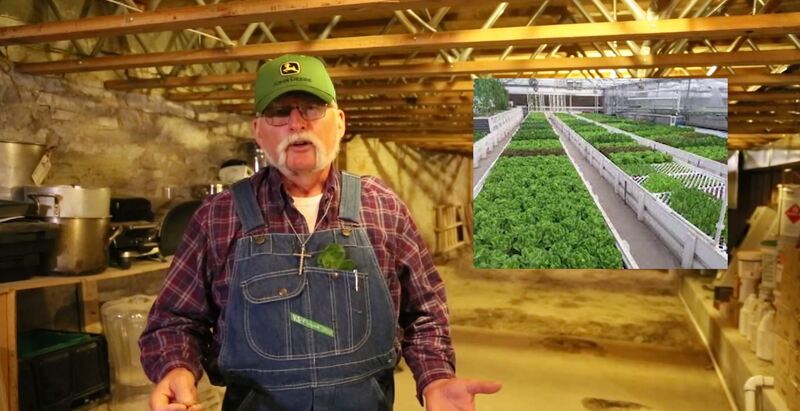 Photo Caption: Sub-State competition video pitch in the location of the future Ramsey’s Aqua Garden explained by Conrad Ramsey. Uptown Marion is a nationally accredited Main Street Iowa district that drives continued revitalization, growth, and preservation of historic character through appropriate design, promotion, and economic strategies that improve the local community. previous post: Open 4 Business competition returns to Uptown Marion!